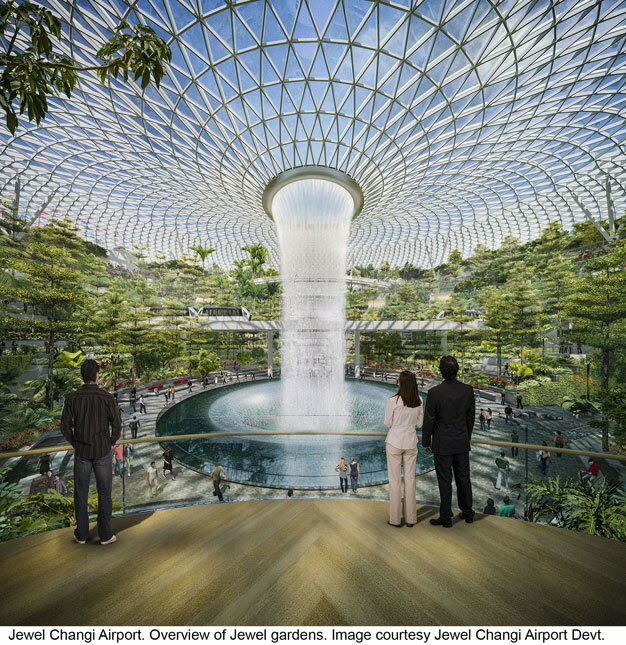 Design Glass Air Hub – A Jewel Changi Airport Singapore by Safdie Architects is recently updates from Safdie Architects that revealed plans for a glass, spherical “air hub” that will be built at the center of the Singapore’s Changi Airport, the world’s sixth busiest airport. 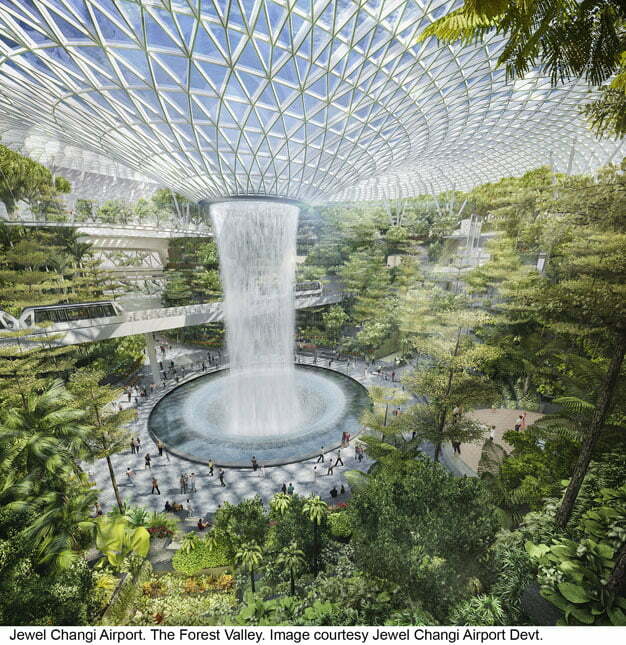 The “Jewel Changi Airport Singapore” biodome was presented as a “new paradigm” for international airports that will boost Singapore’s stopover appeal and become a “lifestyle destination” for both travelers and local residents. 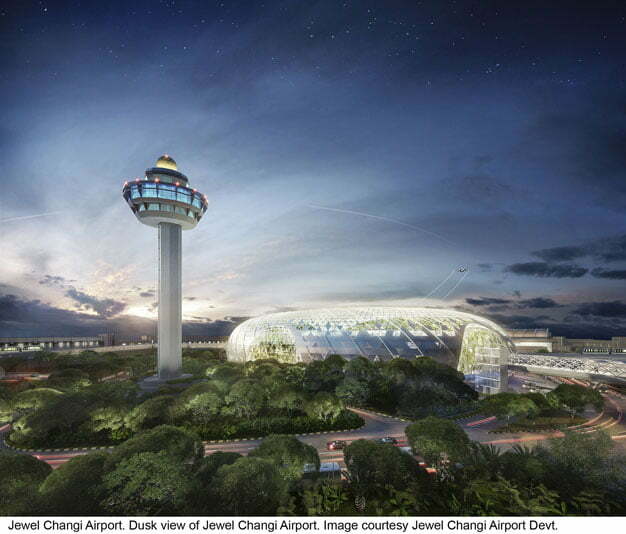 Construction is expected to begin by the end of 2014, and completion is scheduled for the end of 2018. 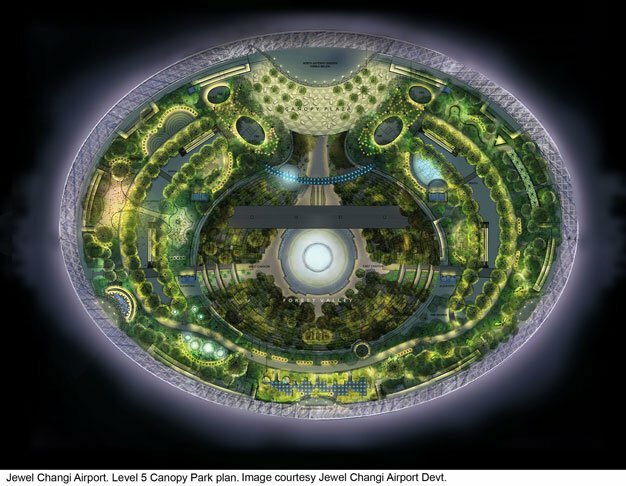 The Jewel hopes to become a landmark for Singapore, much like Safdie’s nearby Marina Bay Sands Resort. From the desk of an Architect Moshe Safdie, after the break. 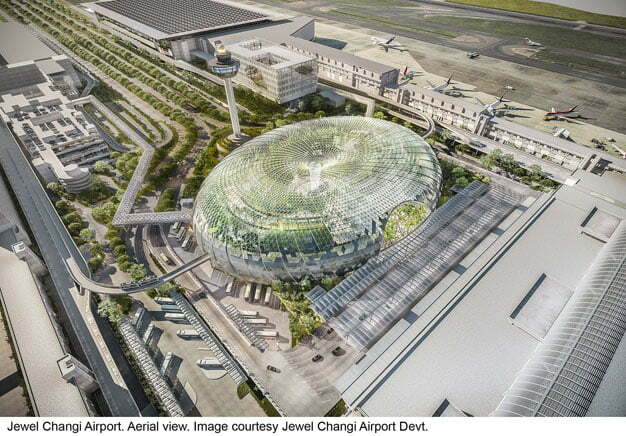 “This project redefines and reinvents what airports are all about,” said architect Moshe Safdie. “Our goal was to bring together the duality of a vibrant marketplace and a great urban park side-by-side in a singular and immersive experience. 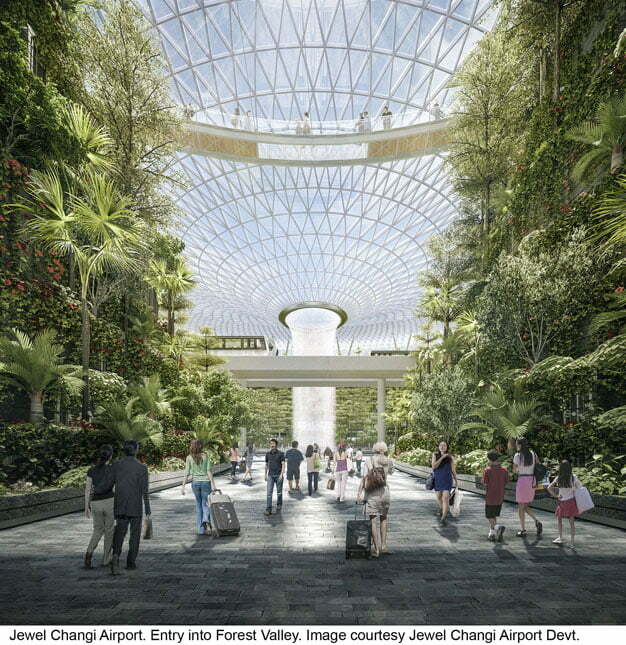 Named the “Jewel Changi Airport ,” or “Jewel,” the glass dome will include 1.4 million square feet of retail, hotel, restaurant and entertainment space, all connected by multi-level gardens and lush walking trails known as the “Forest Valley.” The centerpiece, “Rain Vortex” will be a 40-meter-tall waterfall fed by recycled rainwater that cascades from the dome’s oculus. Support for the dome will be provided by tree-like structural columns that ring the inside edge of the “Canopy Park” roof garden, designed in conjunction with PWP Landscape Architecture, and gathering space at the dome’s upper level. 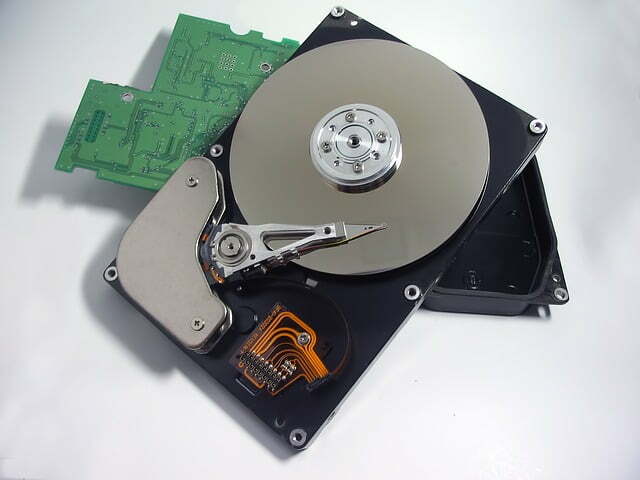 Does Really Windows Delete File when you Press Delete?